The elections heat has caught up the entire country. Both Telangana and Andhra Pradesh citizens are getting ready to cast their votes on this 11th. While AP will witness polls of both Assembly and Lok Sabha, people of Telangana will only vote for the Lok Sabha polls. It looks like two star heroes will miss the elections this time. They are none other than NTR and Ram Charan. 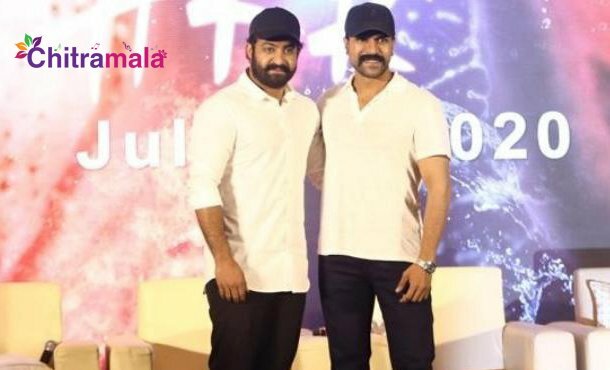 Both of them are shooting for Rajamouli’s RRR in Vadodara and this schedule will go on for more than 45 days. It is already known that NTR’s family is an integral part of TDP. But the actor chose to stay away from political affairs and the party. Same in the case of Charan. Both his uncles Pawan Kalyan and Naga Babu are contesting in the upcoming elections on behalf of their party Janasena but Charan decided not to indulge in it and stayed away from campaigning as well. Now, many people are doubtful that whether these actors will come down to Hyderabad at least to cast their votes for Lok Sabha polls. Only time will tell us.